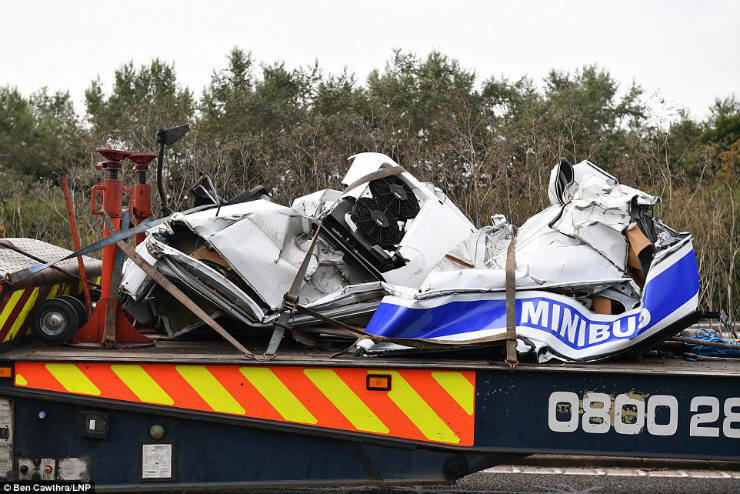 In what appears to be the most horrific road accident in UK in the last 24 years, 8 Indians lost their lives on the M1, while 4 more were injured. The incident took place between the junctions 15 and 14 of the M1 around 3.15 am in the morning. The accident involved 3 vehicles, 2 trucks and 1 mini van carrying Indian tourists (working in Wipro) who were on the way to the Channel Tunnel. The minibus collided with the two trucks in such a way that the bus was completely flattened. While one truck was a FedEX truck, the other was a AIM Logistics truck. 3 of the 4 Wipro employees on board died and the bus driver, an Indian also died on the spot. A few who were critically injured were rushed to the hospital where they are fighting for their lives. 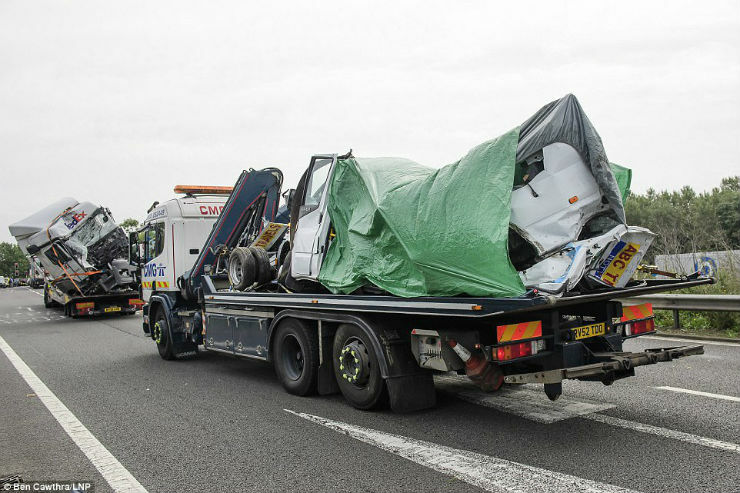 While the cause of the crash is not known, both the lorry drivers have been arrested and charged with causing death and serious injury by dangerous driving. One of the two drivers arrested was also charged with drunken driving, which could be the reason for the crash. A total of 9 fire engines were rushed to the scene and it required 35 fire fighters with hydraulic equipment to pull the alive people out from the wreckage. Cyriac Joseph, who was the driver of the minibus was an Indian who was living in the UK for the past 15 years. It’s with deep regret and sadness that we confirm the passing away of three of our colleagues, Karthikeyan Ramasubramaniyam Pugalur, Rishi Rajeev Kumar, and Vivek Bhaskaran in a tragic road accident in the UK. Another colleague, Mano Ranjan Panneerselvam was critically injured in the accident and we are praying for his speedy recovery. Our thoughts and prayers are with the families of all those who lost their lives in this tragedy. We will continue to provide all assistance to the families in this hour of grief. One driver, Ryszard Masierak, aged 31 was charged with 8 counts of causing death by dangerous driving, 4 counts of causing serious injury by dangerous driving and 8 counts of causing death by careless driving while over the prescribed limit. David Wagstaff, 53, the other driver was charged with 8 counts of causing death by dangerous driving and 4 counts of causing serious injury by dangerous driving. After 1993, this is the worst crash that the UK has seen.